If you're like everyone here at the BargainPier office after holiday candy deals are the time to stock up for the coming months. Saving 50% or more on candy should get you through Easter. Then you can just stock up on all of the after Easter items! Save 50% on Jelly Belly holiday items through 1/24/15. Get these before they are gone by clicking the link below. Save 50% on Jelly Belly Holiday Candy while supplies last. Get your holiday favorites; shop now and SAVE! 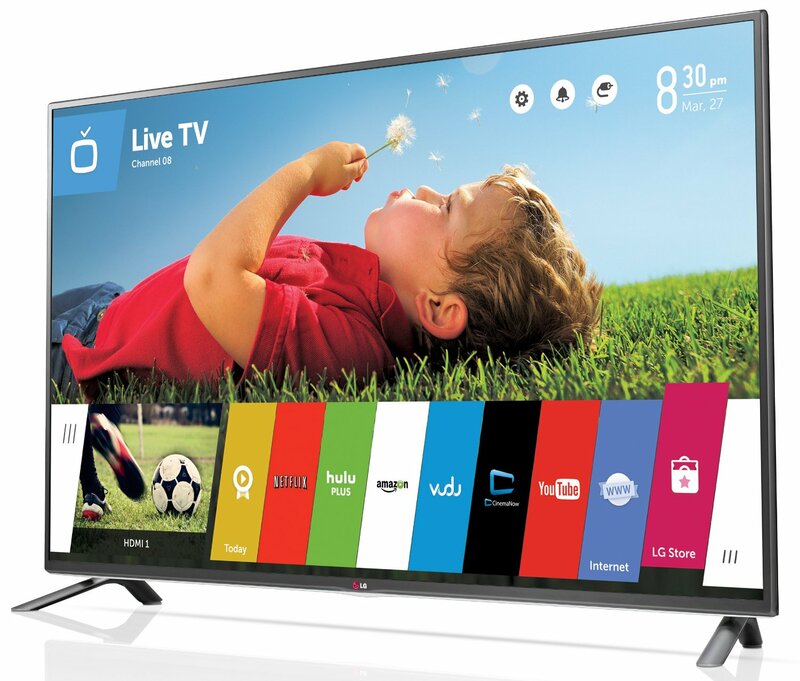 Amazon has a crazy deal for this LG Electronics 42LB6300 42-Inch 1080p 120Hz Smart LED TV for only $499. This includes a full year of Netflix for free. That's a $98 value! Add to that free shipping and this is an incredible deal! Deals changes fast on Amazon. Get this one before it's gone! With no signs of Winter ending is time to stock up on the gear you need to survive the cold. ProGuideDirect.com is currently running a 20% off sale on all Sitka Gear. This includes outerwear, pants, shirts, packs and more. If you haven't heard of Sitka they make high performance weatherized gear for all your outdoor needs. If you're an avid Winter hiker, camper or hunter this is the gear you need to stay warm. While you're searching for gear don't forget to stop enter their Sitka gear giveaway for a chance to win. They are giving away gear on a weekly basis. Fall craft shows are right arouond the corner. Get in on the crafting now with the Hancock Fabrics Autumn Sale. Get everything you need to start your proijects before you miss out. Save up to 70% at Hancock Fabrics during their Blowout Sale. Get ready for Fall crafting now! Those craft shows are coming up fast. 10% OFF Georgia Boots through 09/30/2013. 10% OFF Rocky Boots through 09/18/2013. $20 OFF CAT Boots 09/08/2013 - 09/15/2013. Spend more than $49 age get free shipping on all orders. Save $15 when you spend $100+ at Jelly Belly. Stock up for Halloween, Thanksgiving, and Christmas all at the same time. Just use CODE: FALL13 at checkout. What kid wouldn't love to get some Jelly Beans in their bag at Halloween? MyJellyBelly - Fall into Autumn Sale: Take $15 off $100+ order! * Use promo code: FALL13. Valid 9/03/13-9/30/13. *Restrictions apply. Shop now! Celebrate 56 years with Hancock Fabrics and save 56% off your order. Shop through 9/25/13 for this deal. Also save 56% during the Fall Stock Up Sale. The Fall sale is valid through 9/8/13. Get ready for the Fall crafting season before it's too late. Shop the Manhattanite End of Summer Sale and save 30% off your entire order! Just use CODE: SUMMERENDS30 at checkout to get your savings! Two Day Labor Day Sale - Get up to 50% Off on Scissors, Batting, Simply Fleece Prints, and Much More at HancockFabrics.com. This sale is valid through September 2nd.